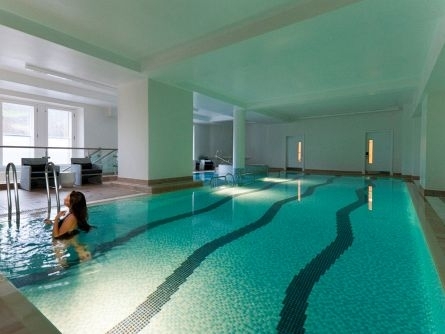 The Waldorf Astoria Edinburgh - The Caledonian opened in 1903 as a grand Edwardian railway hotel. 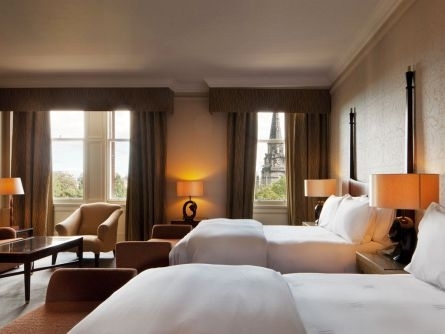 Located on Princes Street, ‘The Caley’ as it is known by locals, has provided luxury accommodation for guests visiting the Scottish capital for decades. 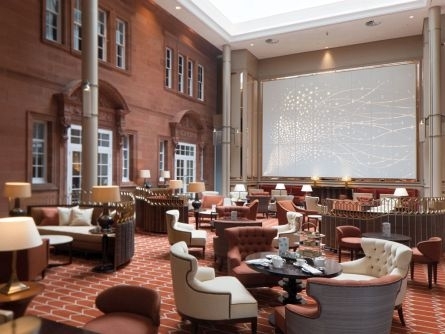 Having undergone a £24 million renovation the quality of accommodation and service at the Caledonian is now higher than ever. 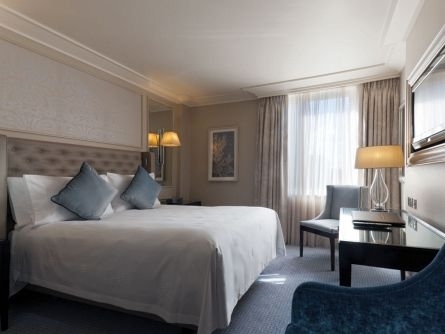 The Caledonian with 241 rooms and suites, many with tantalising views of Edinburgh Castle, offers guests the widest range of accommodation choices. Rooms include Deluxe, Premium and Premium Castle View. 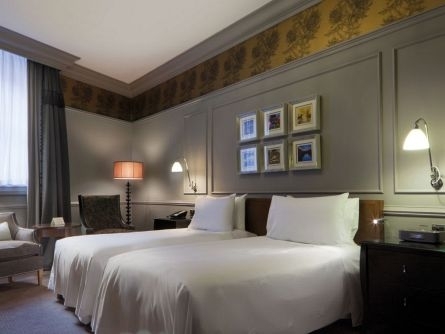 Depending on type of rom selected guests can sleep in comfort in a king, queen or double bed and all rooms are available with black out curtains, TV, work desk and mini bar. The one bedroom suites offer guests additional living space and provide an excellent way to escape the rigours of the outside world in comfort and privacy. 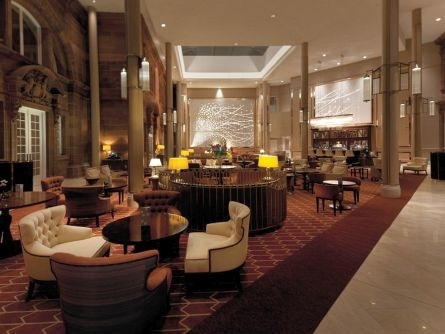 The Caledonian is also a favoured destination for conferences, meetings and social events. Several rooms and suites are available for meetings and gatherings of all sizes. One of the prime locations is the hotel’s Castle Suite, a listed room bedecked with golden eagles and frescos of Scotland’s wildlife. 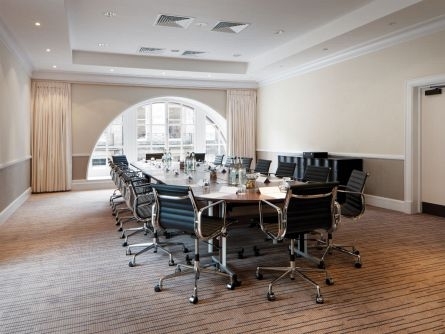 Business guests at the Caledonian are also only a short walk away from the Edinburgh International Conference Centre. The hotel is licensed to cater for weddings and civil partnerships and has facilities for small intimate gatherings or for up to 200 guests. 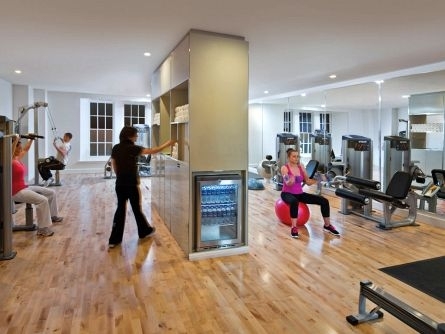 There is also a choice of bars and restaurants and dining at the Caledonian is a treat. 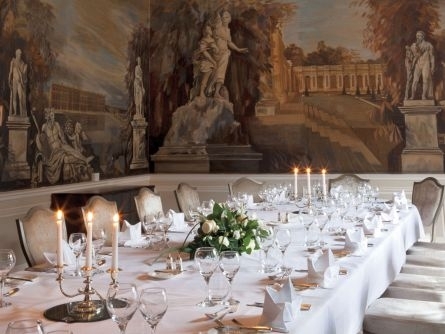 The Pompadour and Galvin Brasserie De Luxe boast Michelin starred chefs. 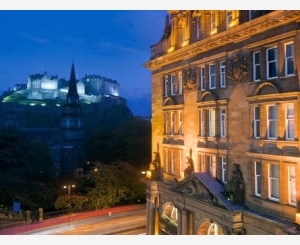 One of the benefits of a stay at the Caledonian is the hotel’s close proximity to Edinburgh’s landmarks. Edinburgh Castle forms an impressive back drop, the best golf courses in Scotland are near to hand and boutique shopping on George Street is close by.